Rising second-year Belmont Physical Therapy students, Lauren Addison, Beau Kovach, Hannah Burkhart, Alex Tucker, Bella Zizzi and Katelyn Thies devoted part of their summer break to finding ways to get involved in the Middle Tennessee area. The class, as a whole, agreed in their first year on the importance of getting involved and giving back to the surrounding communities. Physical Therapy itself is a service profession and while the coursework of the program can be demanding, the class agreed it was important to find time to stay true to the service aspect as well. Associate Professor of Physical Therapy Dr. Christi Williams reminds students within their first few weeks in the program, “It’s not about you, it’s about who you were put here to serve.” The now second year class has bought into this idea. There are several service events built into the program already, but these students wanted to find ways to serve even beyond those in which they were already participating. To do this, a new position within the class was established, the community service chair, and student Lauren Addison quickly volunteered to fill this role given her passion for service activities and mission trips. One organization that the students became involved in this summer is AbleYouth, an organization that works with children who are wheelchair bound to teaching them the skills needed to become as independent as possible while giving them the opportunity to come together for days of fun games and sports. 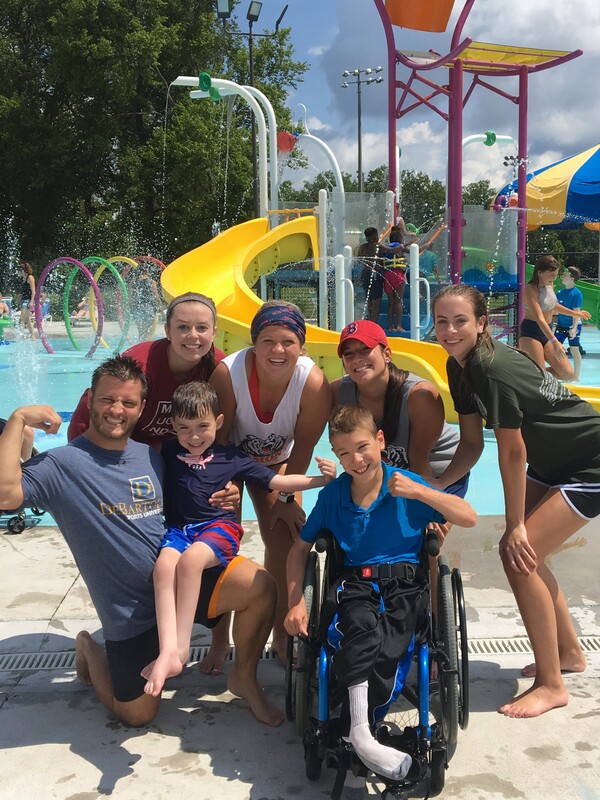 The physical therapy students served on AbleYouth’s Super Sports Saturday, where large groups of kids come together to play games, outdoor activities and sports. The PT students have found that they enjoy playing and working with the children just as much, if not more, than the children enjoy them being there. An ongoing relationship has formed with the AbleYouth program, and Addison plans to encourage continued involvement between Belmont and the organization.